In October of 2012, it was announced that George Lucas had sold his company, Lucasfilm, for $4 billion, to none other than Disney. Obviously, the first thing to come to mind for everyone familar with Lucasfilm is arguably the most popular sci-fi franchise out there, and will be for quite a long time: Star Wars. With the sale of Lucsfilm, it was also announced that Disney would now be creating new material for the universe so many of us have loved for a very long time. This whole new plan includes three new episodes, three stand-along spin-off films, and a new TV show that would be aired on Disney X D.
The new show is called Star Wars Rebels, and It takes place fourteen years after Episode III and Episode IV, serving as a bridge between the two trilogies. This, of course, is a big mantle to take up, and many doubted that Disney would be able to do a good job at handling such a task. The speculation grew even more when the first previews arrived. I was one of those who was on the fence. I just wasn’t sure. The animation looked cheap, and the comedy one-liners were cheesy. It was difficult to even imagine that this show would stay true to the Star Wars that I know, while also engaging new, younger viewers as well. But I didn’t let my reservations keep me from watching last night’s double-length premiere epsisode. While I didn’t absolutely love it, I really liked what I saw, and will be watching the show each week. Animation: It’s not as detailed as the animation that had been used in The Clone Wars, and, at times, there seems to be too much of a plastic-like feel to some of the textures– especially the hair. Also, the Wookies didn’t look good. They felt too blockish, and the hair detail was nearly non-existent. This is not to say that I hated the animation, however. In fact, I enjoyed quite a few details such as the lightsaber animation. While the lightsabers in The Clone Wars were crisp and clear, the lightsabers in this show are a shout-out to the lightsabers of the original trilogy where it seems like they actually carry weight and powerful energy. Another thing I liked about the animation was the TIE Fighter fights. These were also a call-back to the original trilogy, especially to the scene in A New Hope which the Millennium Falcon is fending off a squad of fighters. Fans will recognize a particular shot angle and the effects used when a TIE Fighter explodes. These little details should show viewers that the creators of this show are committed to making this show enjoyable for even an older audience. Dialogue: While not horrid, there were some pieces of dialogue that just seemed forced. Then again, there were some lines that I actually found to be quite humorous. Hopefully, the writers will be able to figure out what works and what doesn’t. Characters: There is no shortage of characters in Rebels. We have Ezra, the street-rat teenager who steals things for a living, the crew of the Ghost: Kanaan, Zeb, Hera, Sabine, and a astromeich droid called Chopper. On the Imperial side of the spectrum, we have Agent Kallus, an Imperial agent who makes it his mission to extringusih any spark of rebellion that threatens to ignite. Kallus reports to the Inquisitor, who has been charged with the task of finding and disposing any remaining Jedi that survived the the scourge that killed all but a few Jedi fourteen years ago. Ezra will be an intersting character to follow as he discovers his destiny which sees him joining the crew of the Ghost and learning the ways of the Force from Kanaan. This brings me to another interesting aspect I am looking forward to. It is obvious that Kanaan was only but a Jedi apprentice when the Jedi were killed. I hope they explore his past more in future epsidoes, because there are some questions I have such as: What happened to his master? How did he escape the Emperor’s agents for all this time? Since his training to become a full-fledged Jedi Knight was evidently never completed, did he ever find someone to finish his training, or did he make an attempt to learn himself? What difficulties will training his own apprentice pose? So is Star Wars Rebels worth watching? While many refuse to watch the show, claiming that Disney has ruined Star Wars, plenty of others, including myself will be joining in each week, starting October 13, for new adventures in a galaxy far, far away. 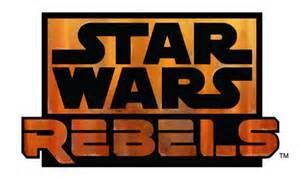 Star Wars Rebels airs on Mondays at 9:00 pm on Disney X D.